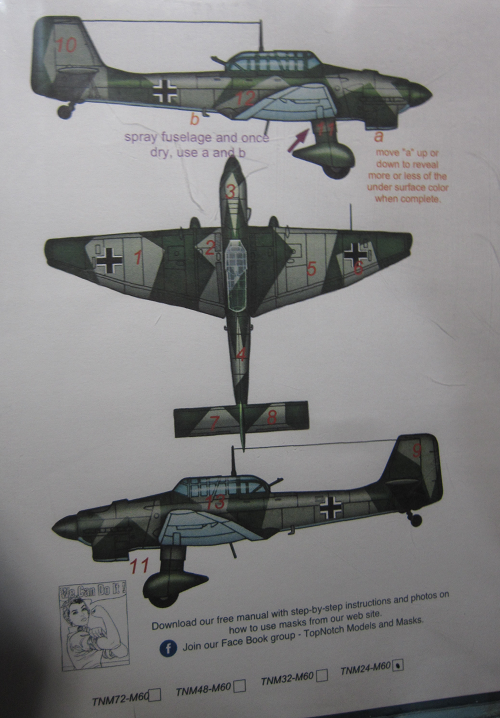 The Stuka standard camouflage patter used colors RLM 70 schwarzgrun (black-green), RLM 71 dunklegrun (dark-green) and RLM 65 hellblau (light-blue) and remained standard from 1940. Spinner and metal propeller blades were the usual color RLM 70. German national markings were remarkably consistent in size, style and placement. Aircraft that operated in North Africa were camouflaged in colors RLM 78 hellblau (light-blue), RLM 79 sandgelb (sand-brown) and RLM 80 olivgrun (olive-green) in accordance with Luftwaffe directives governing the so-called Tropen Flugzeug. 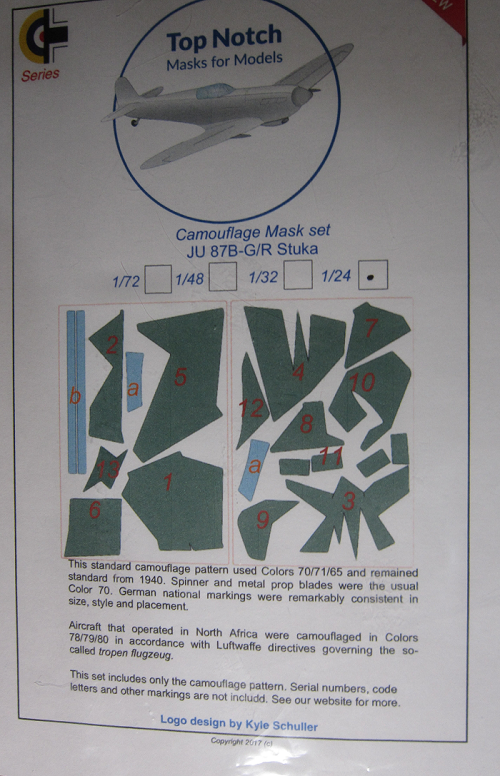 This set includes only the camouflage pattern. Serial numbers, code letters and other markings are not included. See Top Notch's web site for more. welded to half of a German cross, a corner says the set is NEW. ​There are 16 sections for the splinter camouflage, 4 sections for adjusting the bottom of the top colors. 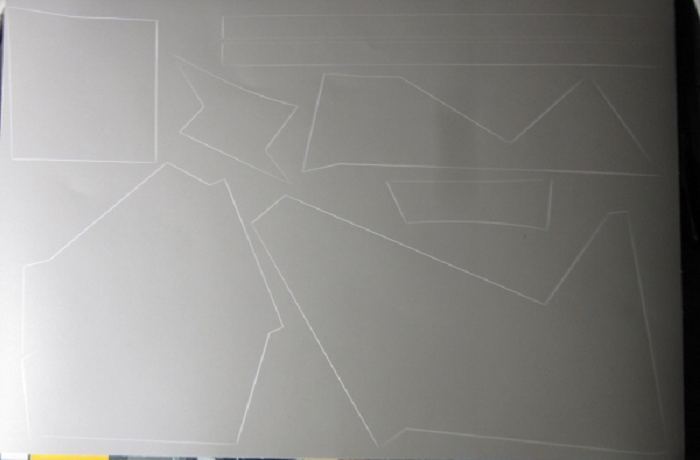 showing its sides and top. Captions tell where to apply the masks. I want to thank Top Notch for this review sample. I intend to use it on my old Airfix 1/24th scale Stuka kit I have.